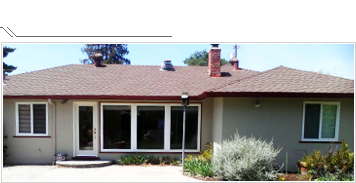 Gorilla Brush Painting is a professional licensed painting contractor located in San Jose. We specialize in residential and commercial exterior and interior painting. 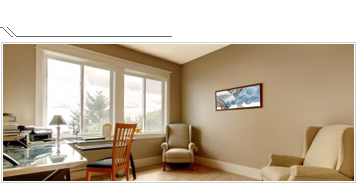 We offer top of the line painting at affordable and competitive pricing. Gorilla Brush Painting was founded on April 20th, 2012 by owner/operator Samuel Lindsay. The company started with a vision of treating people with respect. With over 30 years of experience painting, Mr. Lindsay has worked on everything from parking lot striping, to federally secured buildings. With a strong work ethic and a focus on giving the customer the best job for their money, Mr. Lindsay decided to promote those values with in his own company. He is a 7th generation bay area resident spending most of his life residing near Stevens Creek and Winchester. Gorilla Brush Painting (GBP) takes great pride in a job well done. Their brushes have seen the likes of Loral, Apple, SAP, NASA, and residential homes from South San Francisco to South San Jose and Fremont to Santa Cruz. They promote a fun, safe, and clean work environment, with each employee treating every job as if it were their own home. From accent walls to epoxy garage floors, each job is a unique project that receives individual attention. GBP believes and practices up front, honest and constant communication with the consumer from start to finish. Call on Gorilla Brush Painting for your free estimate, and find out what honest painting is all about! Testimonials are nice, referrals are better! I called Gorilla Brush Painting mostly because I thought the name was unique. It was a pleasant surprise when the owner showed up to give me my free estimate. I showed Sam the house and described what I wanted. After walking the property we discussed the specifics, chose a few color samples and discussed the price. A reasonable quote given that I’m very picky. A few days after we agreed to start he came and painted samples to make sure I liked what I picked for colors. That was great because I actually changed 2 colors when I saw them up on the house. That being settled the workers showed up on Monday morning, Sam included. He introduced me to his guys and then he and his foreman walked the job one final time with me before starting. Now I have to be honest I wasn’t prepared for these workers. They are hilarious, and fast. If there’s not music on, then the guys are joking around laughing all the time. They’re always working while they’re singing or joking with each other. The job was finished on time and looked awesome. Exactly what I had imagined, which usually doesn’t happen. Sam was in touch with me through the whole thing, communicating any unforeseen issues and letting me decide how to address it, giving me lots of options.